There are some movies that have you running out of the theatre as soon as the credits roll, and there are some movies that make you want to watch until the last credit rolls. Wall-e was one of the latter, it was a very enjoyable movie, and I was in no hurry to leave the cinema when the credits began to roll. This was quite fortunate, since the ending credits contain some of the most creative scenes in the movie. The story of humankind is told in a series of images that tell of the progression of humans from the Stone Age to the Age of the Computer, if I may coin that last term. As I watched, I was pleasantly surprised to see works from the various schools of art that I knew and loved displayed on the big screen. To be quite honest, I felt a bit like someone enjoying an inside joke. A lot of people were leaving the theatre, and those who remained paid little attention to the scenes unfolding — a sorry commentary on the state of art education in this country, but that is a topic for another blog post — while I sat enjoying some of the most creative scenes in the movie. I would go as far as saying that the ending credits of Wall-e are an art-form in their own right. In this post, I will share with you some of the images that had me smiling with pleasure as the credits rolled. So, lets start with the first image that hinted at the awesomeness that was still to come. This is the first image that begins the journey of humanity’s progress from the stone ages to the present day. As soon as I saw it, something clicked. 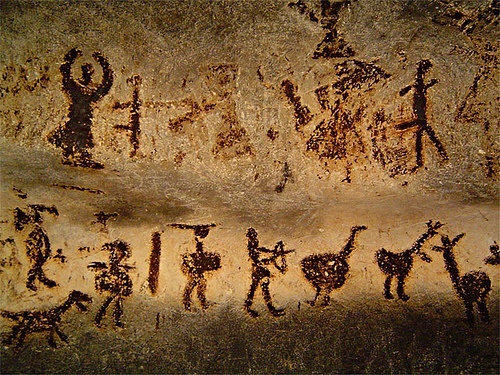 The crude drawing of the spaceship and people coming out of it reminded me of the cave paintings that I used to pore over during the time I passed through my “UFO phase” — believe it or not, I once thought that UFOs had visited the Earth in the past, and I pored over books which contained cave paintings which purportedly proved this. Below is an actual cave painting from the Magura cave in Bulgaria. As can be seen, the similarities are obvious. When I saw this title card, I got a feeling that something special was about to happen. This was confirmed by the next title card. As can be seen, this is an obvious reference to the first stages of human civilization, as exemplified by the civilizations of the “Fertile Crescent”. Specifically, this reminded me of Egyptian wall paintings. Even if it was not an exact match, it was close enough to the art of the Fertile Crescent and the Eastern Mediterranean to give the general idea of that stage of human development. 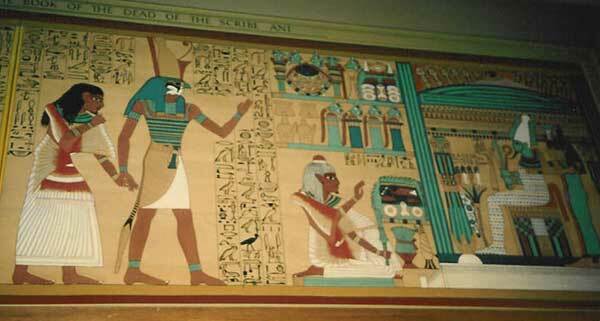 Here is an image of an actual Egyptian wall painting for reference, you will notice that the actual wall painting and the Wall-e title card are stylistically similar enough to get the message through to the audience. At this point in the movie, I got the gist of what they were trying to do and eagerly awaited the next title card. The next title card I recognized belonged to the Middle Ages. At least as far as I could tell, I came to this conclusion because the painting lacked perspective — it was essentially flat — and used a style that looked like stained glass. Below is the image from the Wall-e closing credits. 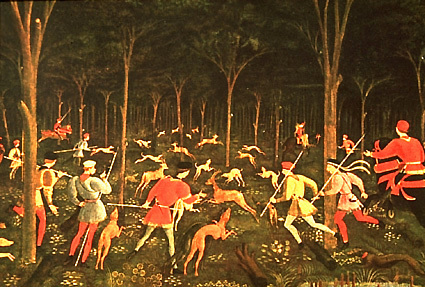 Here is an example of Middle Ages art to make this point clearer. 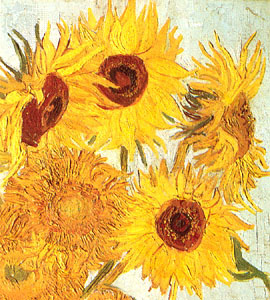 The lack of perspective is there, but the image does not use stained glass, although stained glass was very popular during that period. 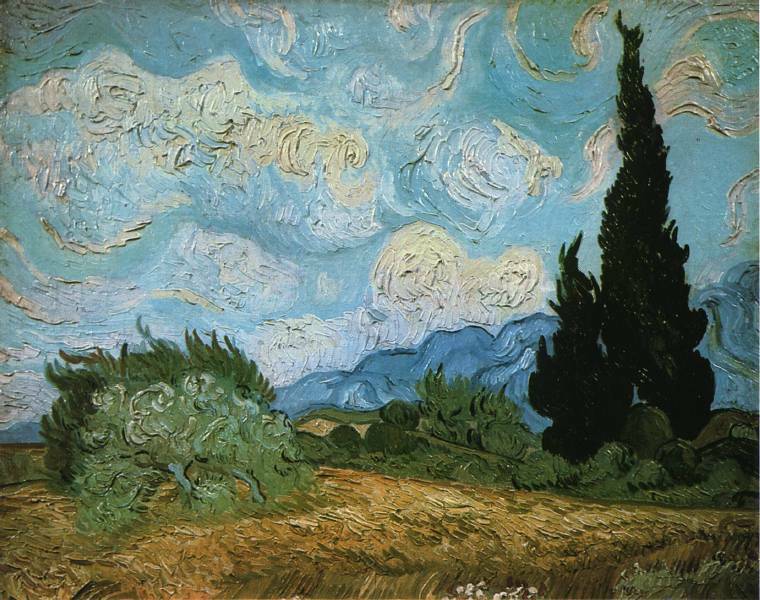 The Impressionism school of art received special favor in the ending credits, I will highlight three of the scenes that I immediately recognized in this section. 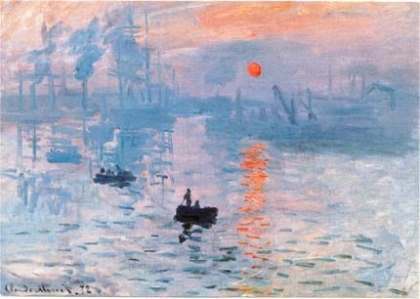 The image below reminded me of Claude Monet’s Sunrise. Here is Claude Monet’s Sunrise for reference. The next two Wall-e title cards combined features of several Van Gogh paintings, here are the Wall-e title cards. 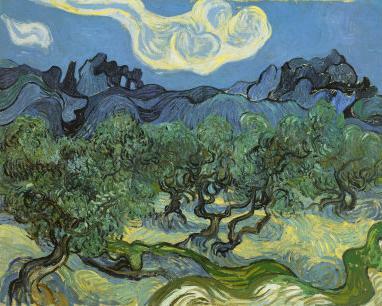 And here are the Van Gogh paintings that inspired them. This is the final “real” school of art represented in the closing credits of Wall-e, for some reason they did not use minimalism, surrealism or abstract impressionism, they also skipped the Baroque, Rococo and Academic schools of art. 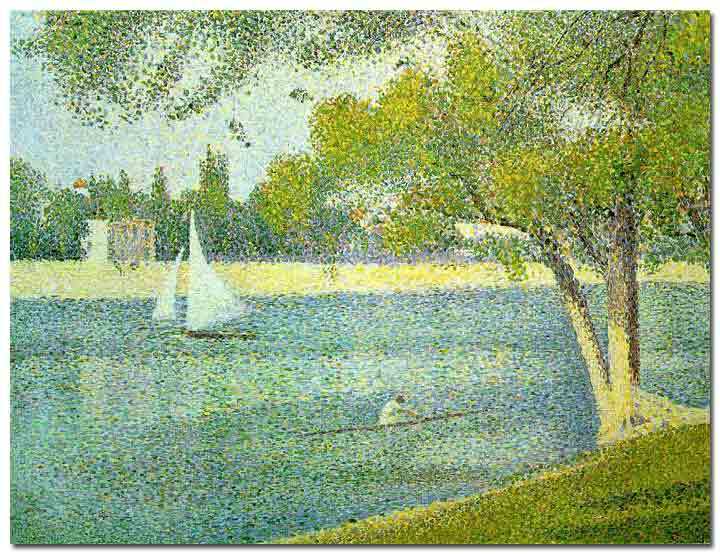 Here is the title card that represents Pointillism in the movie. The last stage of art represented in the ending credits is the 8-bit computer art stage. Here is the title card that represent this stage of art. And there you go, that was the conclusion of one of the most creative closing credits I ever saw in a movie. The ending credits were actually part of the story, letting us know that humans prospered and thrived on Earth once they came back. I hope this blog post increases your enjoyment of this awesome movie. Found this by searching to find out who the artist were for the credits. I’ve always watched them everytime I watch the film, but never realised the depth of it. Thank you for shining the light on what was going on. May I just propose a few “alternate” analyses? Thanks again, let me know what you think.